After over 20 years of hands on experience in investigative services, Richard G. Bresloff put Trailblazer Investigations, Inc. into action. On December 30, 2003, Trailblazer Investigations obtained corporation status with an office located on the North Fork of Eastern Long Island in the Village of East Marion. 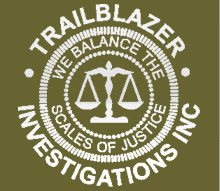 Trailblazer Investigations Inc. is a New York State licensed and bonded Private Investigation Company—a Montauk NY detective agency like no other. Whether you need a private investigator or matrimonial investigations—Richard’s experience can assure you that the intelligence you need will be found. Richard Bresloff, is a graduate of St. John's University, where he obtained his BA degree in Psychology in 1970. Entering the Armed Forces during the Vietnam Conflict, he was assigned as an overseas Assistant Intelligence Operative in a Fire Direction Control Unit. Upon exiting the Armed Forces with an Honorable Discharge, Richard affiliated himself with a family owned investigation company. Catching cheating spouses, performing surveillance, background checks, pre-employment screenings and investigating insurance fraud became his specialties. During Desert Shield, Richard joined the New York Army National Guard. Richard was assigned stateside and, as a Sergeant, he continued his work in the intelligence community. With an Honorable Discharge from the National Guard and a Secret Security Clearance, Richard returned to civilian life. He then began aggressively working in the field of private investigation. Working with numerous investigation companies and starting in the trenches, Richard honed his investigative skills. In order to continue offering investigative services in a professional, reliable and cost effective manner, he created his own company. The company name was chosen in honor of Richard's Uncle, Theodore G. Stathis. Theodore, a graduate of New York University Law School, was called to serve his country during World War II. He was assigned to the 70th Infantry Division. On January 10th, 1945 Corporal Theodore G. Stathis was killed in action in The Battle of the Bulge. The 70th Infantry Division was also known as The Trailblazers. 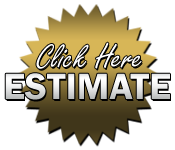 With this great history backing us up, we are your source for background investigations, arson investigations or more in Montauk and Riverhead NY. 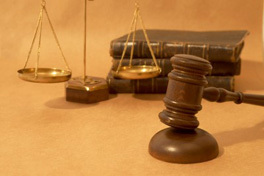 Please contact us, should you need any investigative services. We want to know how to best serve you.